Composer John Harbison is among America’s most distinguished artistic figures. 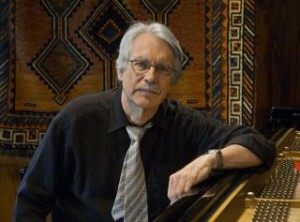 The recipient of numerous awards and honors, among them a MacArthur and a Pulitzer, Harbison has composed music for most of America’s premiere musical institutions, including the Metropolitan Opera, Chicago Symphony, Boston Symphony, New York Philharmonic, and the Chamber Music Society of Lincoln Center. His catalog includes three operas, six symphonies, twelve concerti, a ballet, six string quartets, numerous song cycles and chamber works, and a large body of sacred music that includes cantatas, motets, and the orchestral-choral works Four Psalms, Requiem and Abraham. His music is widely recorded on leading labels. Recent premieres include Psalm 116 (Chanticleer), String Quartet No. 6 (Lark Quartet & Fromm Players, Tanglewood), Presences (cello and string quintet), A Bag of Tales (codas for piano), The Cross of Snow (in versions for both viols/countertenor and string quartet/mezzo), The Nine Rasas (clarinet, viola and piano), and Painting the Floors Blue (for violinist Jennifer Koh). In May Harbison’s opera The Great Gatsby, a commission from the Metropolitan Opera, was revived at Semperoper Dresden, after the European premiere of a new production there last year, following performances in New York, Chicago, San Francisco, Aspen, Boston and Tanglewood. Current composition projects include the monodrama If, From a Distance (for Boston Musica Viva, Santa Fe Chamber Music Festival, and the Chamber Music Society of Lincoln Center), and the organ symphony What Do We Make of Bach, for a consortium anchored by the Minnesota Orchestra and the Seattle Symphony, with a companion volume of essays on Bach. Harbison has been composer-in-residence with the Pittsburgh Symphony, the Los Angeles Philharmonic, the American Academy in Rome, and numerous festivals. He received degrees from Harvard and Princeton before joining the Massachusetts Institute of Technology, where he is currently Institute Professor. For many summers since 1984 he taught composition at Tanglewood, serving as head of the composition program there from 2005-2015, often also directing its Festival of Contemporary Music. With Rose Mary Harbison, the inspiration for many of his violin works, he has been co-Artistic Director of the annual Token Creek Chamber Music Festival since it’s founding in 1989. He continues as principal guest conductor at Emmanuel Music (where for three years he served as Acting Artistic Director). Active as a jazz pianist, Harbison founded MITs Vocal Jazz Ensemble in 2010, for which he served as coach and arranger, and he is pianist with the faculty jazz group Strength in Numbers (SIN). In these roles he is adding to his large catalogue of pop-songs and jazz arrangements. Harbison was President of the Copland Fund for fifteen years, and a trustee of the American Academy in Rome. He is a member of the American Academy of Arts and Letters and is a Trustee of the Bogliasco Foundation. His music is published exclusively by Associated Music Publishers. 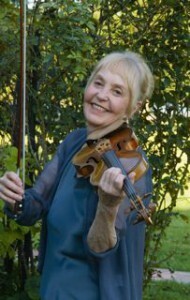 Violinist Rose Mary Harbison is co-artistic director of the Token Creek Festival. She has appeared as soloist with the St. Paul Chamber Orchestra and the Oakland, Milwaukee, and Pittsburgh symphonies, and been guest artist with the Santa Fe, Aspen, Tanglewood, and Berlin Festivals. Recital partners include Leonard Stein, Judith Gordon, Ursula Oppens, Robert Levin, and Eli Kalman. She has worked with many composers, among them Aaron Copland and Roger Sessions. Harbison founded, with violinist Rudolph Kolisch, the Kolisch Ensemble, and she continues to advocate for his performance practice. For many decades she collaborated with the late W. Jack Fry, professor of physics at UW-Madison, in his groundbreaking research into the acoustical properties of the world’s finest violins. Harbison is a founding member of Emmanuel Music, Boston, where she regularly performed in Bach cantatas and chamber music programs. She taught at Brandeis University and MIT, and was named a Scholar at the Radcliffe Institute. Copyright ©2018 Token Creek Chamber Music Festival. Design: Jeff Stanek.